Home to 130 guest bedrooms with invigorating en suite power showers, our affordable Barking hotel sets you up with everything you need under one roof. Guests benefit from a choice of well-appointed triple, double and twin bedrooms, a friendly service around the clock, spotless attention to detail and nearby conveniences including a Tesco Superstore right next door. As well as being within simple reach of central London, we're only 13 minutes' drive from ExCeL and the world-class shops, bars and restaurants of Canary Wharf. In need of some retail therapy? Westfield Stratford City is 14 minutes away by car. Lift was broken wasn’t given great information on how to get to room ( like being lost on a ship ) when I found the room key card wouldn’t work and after loads of attempts the card got stuck. Had to find reception again I was on 3rd floor. Member staff came with me as they didn’t believe me, 20 minutes later with me just stood in the corridor they gave me another room. Very disappointed to find no kettle. Great staff especially cleaners very swift an do what they do properly. Rooms are very small and understandable with it being a budget hotel could have compensated with windows that fully open as found it difficult to breath in the room with other people.was a family an friends trip for a wedding my brother booked in to another hotel 5 mins walk away paid £8 extra and had a dream room in comparison to the room we stayed in. Overall, will not be staying in this hotel in the near future visits but no complaints with staff and facilities. The bed was extremely uncomfortable, I could put up with the small room and less amenities but the bed was aweful. Me and my partner couldn't sleep and then had to drive 5 hours home. Everything else was acceptable. we had a brilliant stay.room was perfect warm and very clean and comfortable.enjoyed our stay.will use again.a big thank you. Not because it's a budget hotel, do your customers have to suffer! Your night shift personnel is helpful and proactive, Mr. Zafar who is handling the night shift and who helped make my stay less uncomfortable. I checked in late, had asked for a room on the back side, not on the front and not on the sides of the hotel which are seeing the motorway. Was given room 352 which is on a side and getting traffic noise straight into the room. Mr. Zafar changed me to room 426 on top floor and on the back. But the elevator to the floor was down, carried luggage 4 flights of stairs. Corridor at floor stank of mold or something similar to dirty and humid laundry, door handle had to be forced twice before mechanism would open, window would not close properly due to a a loose hinge, got cold air draft and noise of traffic bouncing off the hotel walls. Heater set on 30 °C and could not be adjusted. Had to turn it off lest room would be like a sauna. Asked Mr. Zafer for another room but hotel was full up. Mr. Zafer left note for colleagues next morning to change me to room 424. Next day, I spoke with collegue at reception who actually approached me first to ask what I needed. She promised to move me to room on back, packed and left luggage in storage room. Came back at midnight and found out that room assigned was again 352. Mr. Zafer showed me the note he had written to colleague and which specifically requested to move me to 424 and not 352. After half an hour Mr. Zafer managed to give me room 424. 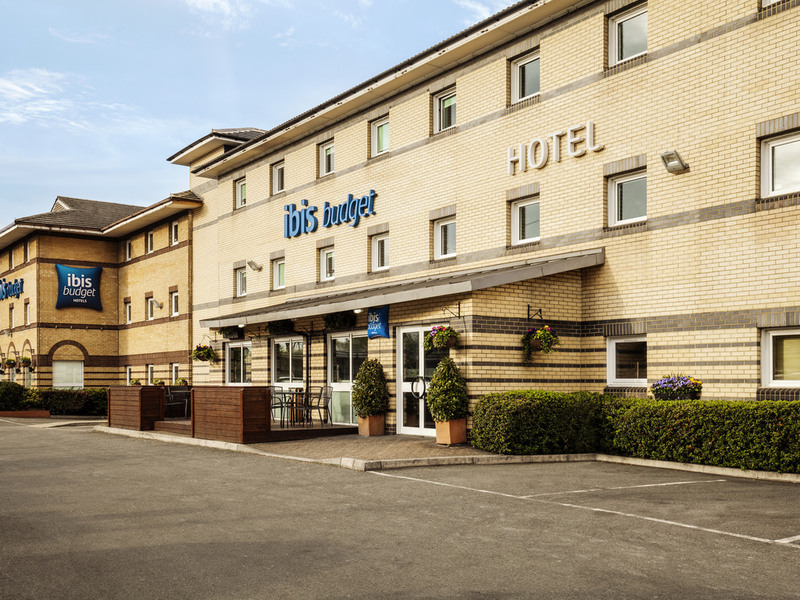 As this is a corporate account, we had a candidate staying in Ibis and unfortunately we had to move her to a Travelodge as one of your other guests undressed in front of her on Friday evening and your staff did nothing about it. The incident has been filled to the police who I am sure will be in contact with you shortly. We are also drafting a formal complaint which will be filled by the end of today. Use you regularly, and find you great value. Rooms are clean (could do with an extra pillow and another towel though. Shower is very good (but always seem to leak out onto the floor which means you need a towel to mop up (hence the need for extra towel). But key issue is the drain smell. Every night on return, and then every morning when you get up, the smell of drains in the bathroom is very strong. Have experienced this at both Ibis budget and standard Ibis in Barking. Perhaps something overall a problem with the drains, but you really need to look at this as it is pretty unpleasant. That said, staff are always really nice, very helpful. But they are not plumbers too, so please take a look. Lift not working mess every where keycard wouldnt work. Lifts were not working was stuck on 3rd floor key card kept not working and then went into the hotel room and rat droppings over my bed. Always book ibis but next time will be going else were. It could have been great. Room was clean, service was satisfieing, breakfast was okay. But how can a hotel not have lavatory brushes in the rooms? I asked for one at the front desk and they informed me, that they do not provide them, because it isn’t standard for their hotel rooms. An absolut no-go for me! I had no idea, that something like that is even an option.